Adsense being one of the most paying affiliate programs, that offer lot of ways to advertise, one would want to make the best out of it by properly placing ads at the right (most paying) places. Defaultly, blogger allows you to paste adsense codes at the sidebar, footer, below blog title and also between posts. 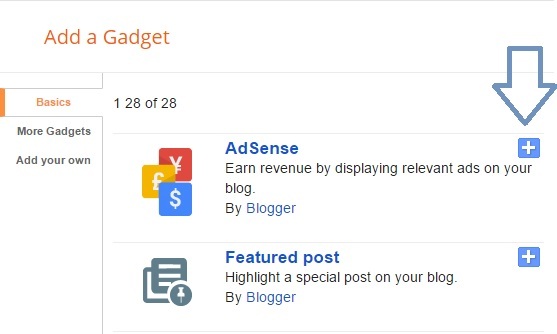 Recommended: Add Adsense Ads Before, Between And After Posts In Blogger Blog. Generally blogspots available spots are just OK but if you want to make more money from your blog, you have to learn how to create more spots for your banners and text ads. One of my favourite spot, is below the post title because any person that enters your blog to read any post must first check out the article title. Alternative Method To Show Ads In the Sidebar And Between Post In Blogger. Part 2 Of Adding Adsense Ads on Blogger Blog. Step 3 – Adding the Code to Blogger HTML. Do You want to show more than 3 adsense banners per page? Before implementing adsense on our blog, lets first check out the most paying or converting places to implement adsense codes. Not every Adsense banner size pays well. Though they are great, but the following have been seen to perform better than others. Should in case you want to implement any banner on your blog, i suggest you choose from the following. On our drive to make more money from our blog, we will now go ahead to implementing adsense adverts on various part of our blog. This also cut across the blogspot tutorial series – Design Ogbonge Blogger Template. Some of the spots enlisted are being used by Jide of Ogbonge blog, so do pick out any spot you wish to show ads on. 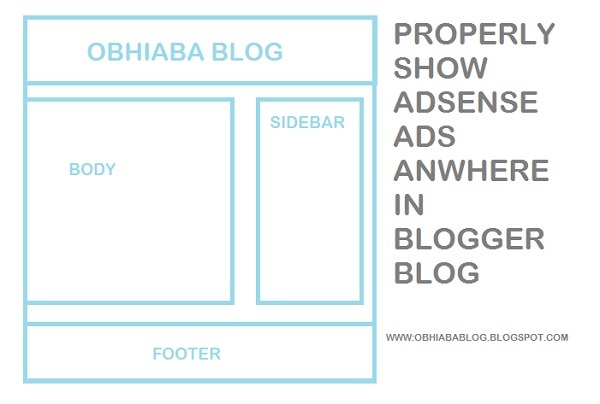 To show ads on the sidebar of your blogger blog, is quite easy. All you need to do, is to visit the layout section of your blog, locate the sidebar where you want to show adsense and clink on “Add Widget”. On the pop up box, simply select adsense. On the new pop up box, make settings according to your taste and clink on save. That is all. Tips: 336×280, 300×250, 300×600, Responsive, are the recommended banner sizes for the sidebar of a blog. Adsense ads can also be shown between posts in blogger. In other to make this happen, visit the layout section of your blogger dashboard and locate the main section. where you have the widget with blog1 as id. Simply clink on edit and scroll down till you get to show ads between posts option. Tick this option and choose the number of post to get to, before an advert will show. Tip: 720×90, 468×60, 350×280, 300×250, Responsive are the recommended ads banner size to be shown between posts. If you feel as if the above procedure is too long, try out this quicker way to implement adverts at the sidebar and between posts in blog. Locate the earnings tab in your blogger dashboard. Once it opens, clink on shows ads, after that tick on at the sidebar and between posts. That’s All. To show ads at the footer of your blog, locate the layout section and scroll down till you get to the footer region. Once you get there, clink on add widget and select adsense in the options listed. Choose the settings of your choice and save the widget. Tip: 970×90, 720×90, 468×60 are the recommended ad sizes depending on the width of your blog. Defaultly, blogger doesn’t offer you this widget. So in order to show adverts at the top of our blogger header or below it, we need to enable this feature in the HTML section. So lets go to the “edit HTML” section of the blog. Search for the below code. Once found, replace it with the below code and save. Now lets go back to the “Layout section”, locate your header widget. You should now see an option that lets you add a gadget. 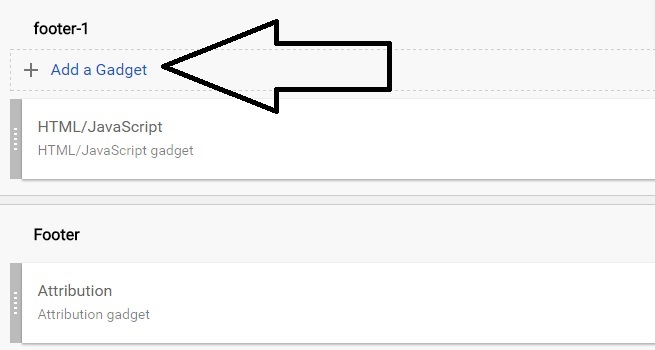 Simply clink on “Add Gadget”, locate adsense and choose any settings. Recommended Banner Size: 720×90, 970×90, 468×60. This second section of adding ads to blogger blogs, will be a bit tactical and will require small HTML knowledge but if you don’t have any knowledge of it, i will try to make it easy and well explained. Log on to your blogger.com dashboard. locate the “template section” and then clink on the edit HTML. Log in to www.google.com/adsense, Click on “My ads” tab and then Click on the “New ad unit” button. Finally select any of ad size. Recommended ad size: 336×280, 300×250, 720×90. Depending on your blogger blog width. Fill other options, save and copy the code. Copy and paste the code somewhere eg in a notepad. Just below <div class=’post-header’>, paste any of the following line of codes. Note: The above code are conditional tags that restrict the Ads to post pages ONLY. Now replace “Paste your parsed adsense code here” with the converted code in step 2 above. Log on to your blogger.com dashboard. locate the template section and then clink on the edit HTML. Just below <div class=’post-footer’>, paste any of the following line of codes. Now replace “Paste your parsed adsense code here” with the code converted code in step 2 above. Login to your Google Adsense account, and create a new ad. Choose the 180 x 90 ad type. if you prefer the horizontal LinkList, you can choose the 728×15 ad type. Then, copy the code into a Notepad. Try and create a channel for the ad. Copy the code, after saving. Go to http://www.freehtmlparser.blogspot.com and parse the adsense code you copied as explained above. Replace “Paste Parsed Adsense Code” with the converted code in step 2. Finally save the template. Note: You can also paste the code below the second <div class=’post-footer’>. Just after <div class=’post-body entry-content’> paste the below code. Replace <!– Add here the code of your ad –> with your converted adsense code. Every section of this post, cuts across any part of the blog where you need to properly place adsense codes for earnings. You are not advised to use all available spots, because Google Adsense doesn’t allow you to place more than 3 banner ads on one post page. Adsense allows you to use just 3 banners but with the help of Ezoic free tool, you can add up to 6 banners to one blog at a time. Exoic is Google adsense approved and it is advised for bloggers, since it enable people earn over 75% more of what they should have earn. Have fun blogging. Leave questions and words of satisfaction at the comment box. they are really appreciated. Sharing is Caring! Welcome soulmate... Thanks for your words. is adsense displaying on your blog? Prince please av followed each step but Nono is working for me. Maybe I should forward my blog template.